Yangtze River Port and Logistics Ltd (NASDAQ: YRIV) is in the midst of an incredible run in value. After taking a bit of time to dig into the whole story, I’m confident in saying that this may just be the beginning. At the end of the day, if all falls into place correctly, the stock may run to $10 per share or more in the short term. As you can see from the chart above, Yangtze River Port & Logistics was doing pretty well until December 6, 2018. On this date, Hindenburg Research issued a report, stating that it believes that the stock will fall to $0.00. The report is available here. 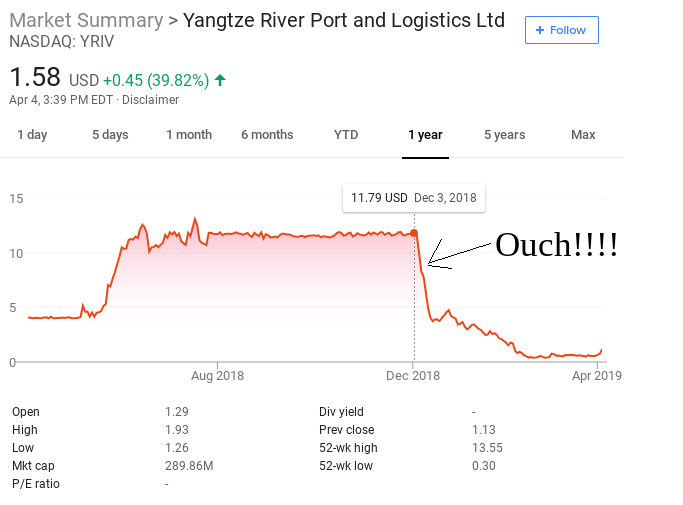 In the report, Hindenburg Research said that it is of the “strong opinion that Yangtze River Port & Logistics is a scheme run by its Chairman & controlling shareholder to siphon money away from U.S. public markets.” The researchers go on to allege that the company’s only operating entity was declared insolvent in China and is involved in multiple undisclosed legal battles. The firm went on to allege that “at least 77% of the company’s reported assets are fabricated.” Moreover, the firm pointed to a 1.2 million sq/m parcel of land in a village that is only 610 thousand sq/m in size. This would effectively make the 1.2 million square meeter number impossible. As soon as the report was released, the bloodshed began. Unfortunately, the stock gave up the vast majority of its value. Nonetheless, things aren’t always as they seem. After about a week of declines in the market, Yangtze River Port & Logistics responded to the allegations levied by Hindenburg Research. The full press release issued by YRIV is available here. In the press release, Yangtze Port & Logistics refuted “all allegations made against the company in Hindenburg Research’s report.” The company went into quite a bit of detail relating to the allegations, and after digging into the company’s response and cross referencing their response with publicly available information, I have to say that I side with YRIV in this case. For the full response, please read the press release linked to above. Nonetheless, the most important part of the response addressed the 1.2 million square meeter figure that accounts for about 77% of its assets. In its response, YRIV made it clear that the leas of 1.2 milllion square meeters of land mentioned in the report isn’t only located in the Chunfeng Village, but it also includes leases in Junmin Village and Jiangdi Village. These leases were brokered and represented through Chunfeng Village. Moreover, the company outlined the value of the land, and actually said that due to appreciation in the region, the value of the land is higher now than it was in previous reports. Nonetheless, due to the overwhelmingly loss in value experienced by the company and its shareholders as a result of the report, YRIV has filed a claim against Hindenburg Research, Nathan Anderson, ClaritySpring Securities, LLC and ClaritySpring Inc. All of whom were involved in the research report that led to the losses. The press release announcing the filed claim is available here. We feel as a company the best way to fight the short and distort strategy of our accuser is to operate and litigate. Our assets have been acquired and developed with real cash payments; and, the long term investment opportunity for profit leveraging our assets will ring true for our investors. This is a long and calculated battle with these short sellers, and we intend to fight with all of our capabilities using every resource available to us. We have a bright future as a member of the global economy and we look forward to the first steps on a long journey. For the past couple of trading sessions, Yangtze River Port & Logistics has seen incredibly strong gains. In fact, in today’s session so far, the stock is trading at $1.68 per share after a gain of $0.55 per share or 48.67%. First and foremost, investors are likely excitedly awaiting the outcome of the case that was filed by YRIV against Hindenburg and its collaborators. Should the court of law find that the company’s arguments against the allegations are correct, it will likely be awarded a large settlement. Moreover, it would be a source of validation that the company is properly reporting and that their assets are indeed valuable. Considering this, investors are getting in on the stock and awaiting positive news from the court. It’s also worth mentioning that YRIV is a company that is heavily dependent on the Chinese economy. As of late, there has been quite a bit of positive news surrounding the Trade War between the United States and China. This may be acting as icing on the cake for those that see opportunity in the highly undervalued stock at the moment. While YRIV is likely to see its fair share of ups and downs ahead, I believe that due to the Hindenburg Research report, the company’s stock is heavily undervalued at the moment. The reality is that the company’s response was cut and dry, and information provided is easy to verify. 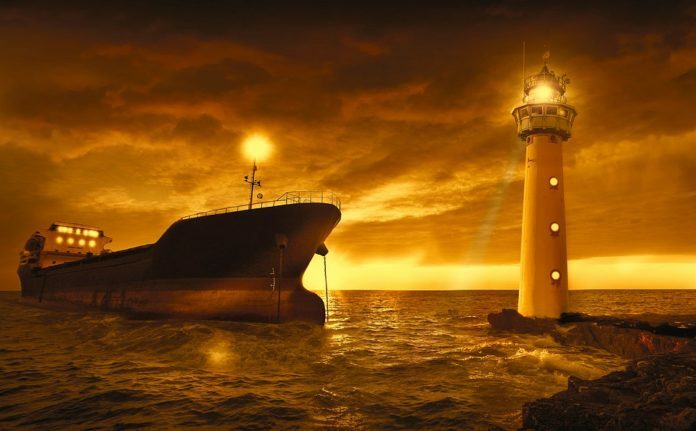 As a result, there is a strong chance that the company will prove to be victorious in the court of law and a recovery will take place relatively soon. Compared to the potential gains in a coming recovery, the movement we’ve seen over the last couple of days is nothing! All in all, I believe that YRIV represents a compelling opportunity at the moment. Where Do You Think YRIV Is Headed? Previous articleNorthern Dynasty Minerals (NAK) Stock: The Good, The Bad, The Opportunity! Next articleTesla (TSLA) News: Deliveries Miss, Musk Safe… For Now!